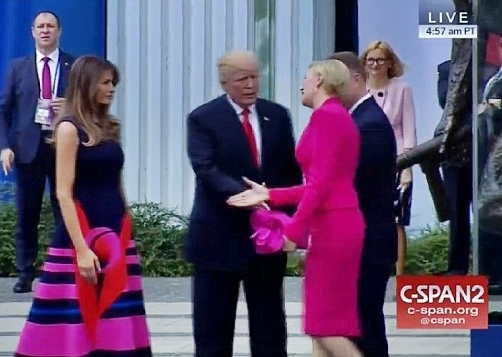 The First Lady of Poland, Agata Kornhauser-Duda, has been seen refusing to shake President Donald Trump's hand when he attempted to have a handshake with her by extending his hand. President of the United States, Donald Trump has been left hanging by another woman on his latest foreign trip after he was left in an awkward spot by Poland President's wife, Agata Kornhauser-Duda. Recall that Trump had previously had his hand swatted away by his wife Melania publicly on his first trip to Europe and the Middle East. 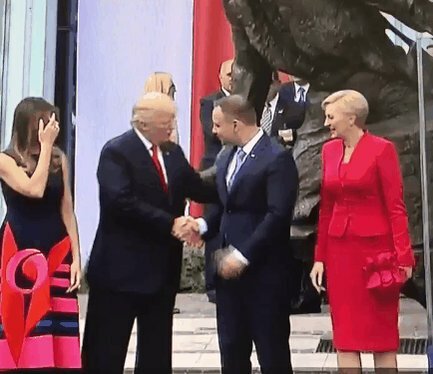 According to Dailymail, the latest awkward incident happened when Trump and Melania were on stage with their Polish counterparts, President Andrzej Duda, and his wife Agata in Warsaw when some official photographs had to be taken. 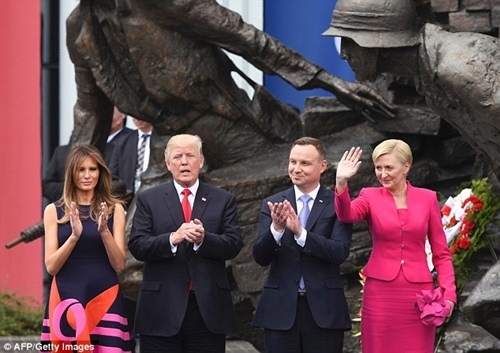 But when it was time to shake hands and smile for the cameras, the Polish first lady skipped straight past Donald and went to Melania, and as a result, the president was left looking somewhat silly as a scowl slowly spread across his face. 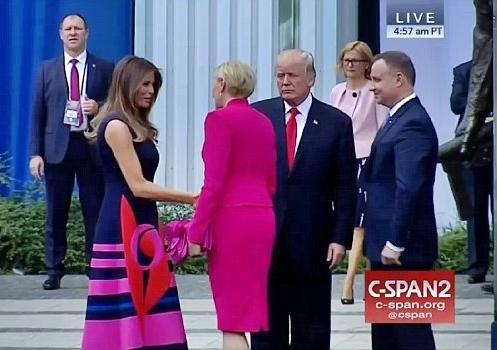 The Polish First Lady however later shake hands with Trump a few moments later, but it didn't stop people reacting to the snub on social media.